United Cutlery Kit Rae Anathros Sword | BUDK.com - Knives & Swords At The Lowest Prices! Renowned weapon designer and fantasy artist Kit Rae's epic mythological tale "The Tale of the Swords of the Ancients and Other Blades of Power" brings you this beautiful sword! 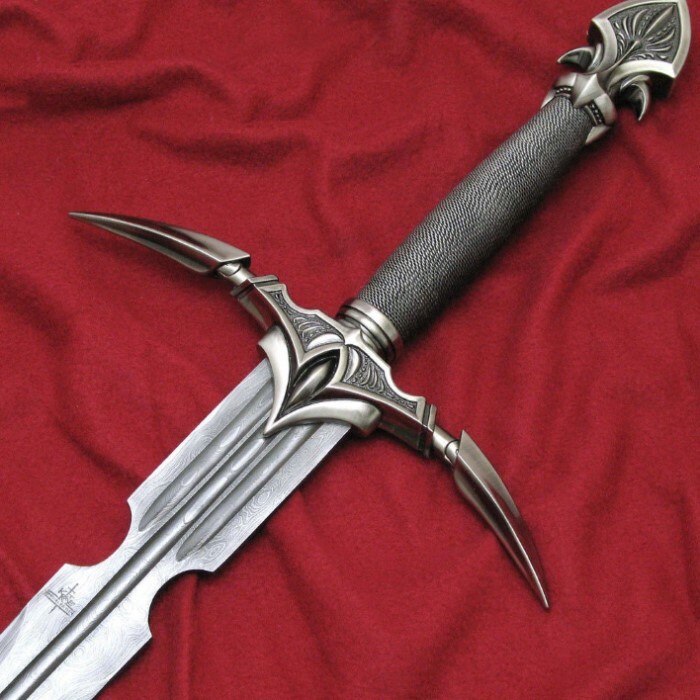 This is Anathros, the Sword of the Earth. Anathros was forged with the destructive power to reshape the earth and its elements. Measuring 42 3/4" overall, this high quality collectible features a wonderfully detailed solid metal pommel and hilt with a wire-wrapped handgrip. The hand guard tips fold inward to give the sword its legendary ability to focus its devastating energy at a target. The 31 3/8" tempered 420 J2 stainless steel blade is etched with ancient runes that tell of the sword's power. This sword comes with a Certificate of Authenticity and an 18" x 24 1/2" full color art print. 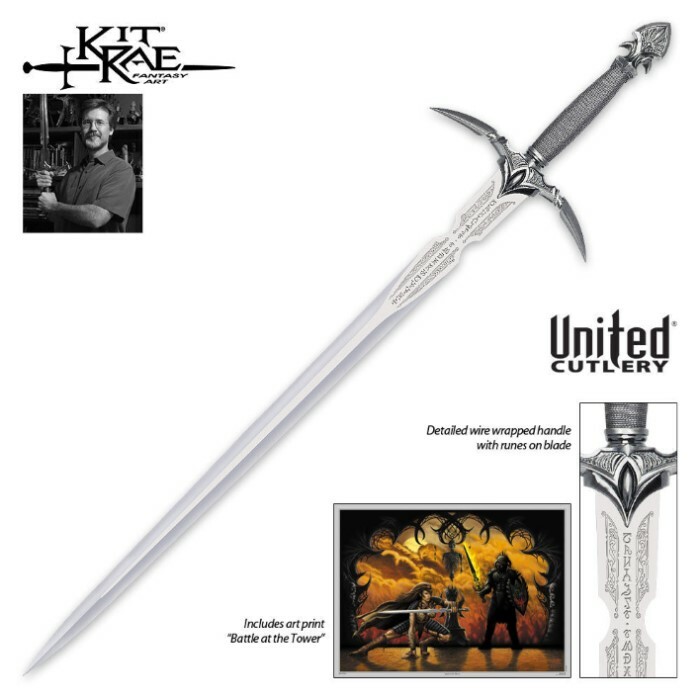 Kit Rae's fans, fantasy enthusiasts, and all sword collectors will want this magnificent piece! United Cutlery, KR0006. One of several Kit Rae items I bought some time ago and I really love the wire wrapped handle and the trick cross guard on this sword. I highly recommend this to anyone looking to buy their first Kit Rae!!! !